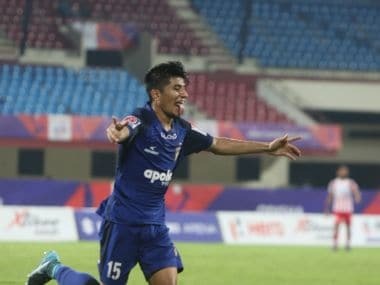 Bengaluru: Bengaluru FC will start with a slight edge against Johor Darul Ta'zim in AFC Cup semifinals second leg with an away goal in hand and a couple of opposition players not playing but captain Sunil Chhetri says that his side can lower their guard only at their peril. 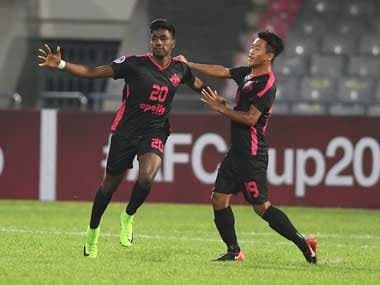 BFC had earned a crucial away-goal as they drew 1-1 against defending champions JDT in Malaysia on 28 September in the first leg. Johor will be without key strikers Juan Martin Lucero and Pereyra Diaz on Wednesday as they were suspended for the second leg. But, Chhetri said JDT were a such a side that they had beaten BFC 2-1 once by fielding local players. "The last time we played against them they beat us 2-1 by fielding local players. So, that is the potential and caliber of JDT players," Chhetri told PTI in an interview. "They are very strong side, but I am really positive. We fancy ourselves here. That's the kind of vibe this ground gives me. Even the game we played against Iran and Oman --both international matches — I felt we could win," said Chhetri, who is also India captain. Asked about the absence of two rival strikers on Wednesday, Chhetri said their absence would not matter much as JDT were defending champions and they have enough bench strength. "The absence of some of their key players due to injuries do not matter much. JDT is very good team. They have 50 good players to replace," he said. Chhetri is also not thinking too much about the away goal Bengaluru FC scored in the first leg and said the focus in the second leg on Wednesday would be to score a goal and not to concede one. "The away-goal helps but we are not trying to put this in our brains too much. Sometime it can give a different message," he said. "Coach Albert Roca has told us to win the game, but don't have to rush. Score a goal in allotted 90 minutes and do not concede. You are then sorted. 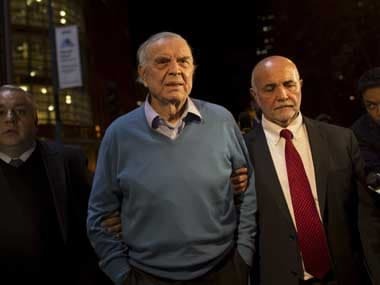 That's the whole thing," he added. "He (Vineeth) is live wire of our team. He is a guy who will keep working like a horse. He runs fast and has stamina. He is also hard working, and to top it all scoring goals. He is so vital for us, man. As far as commitment is concerned there is no one better than Vineeth," he said. Chhetri also had a word of praise for foreign players, saying that the team has not had any 'rotten apple' in all these years. Replying to a query, Chhetri said among foreign players, Alvaro Rubio is a superstar and a 'silent killer'. "Imagine (Alvaro) he has played week in and week out against the Ronaldos, the Ramos and the Messis of the world. He comes here and he is so humble and worth emulating for his handwork and discipline. Alvaro is a superstar - a silent killer," he said. "All of them (foreigners) are top players. We haven't had one rotten apple especially from foreign side. Cameron Watson is good. Alvaro is a superstar - a silent killer," he said. "You have more chances of winning when you do what you are trained for. There is no need to do something exciting on what you have not been trained for," he said. "We will catch up. We have attacking players including me. We will get the goals. We need to score three goals at least in every match - sometimes it happens, and other times it doesn't," he said. "Scoring goals is nothing to do with coaching. It is something to so with individuals. It is up to them to score. If it is all about pass, pass, pass it is a good thing," he said. "(Coach) Roca does not stress on scoring goals, but looks at the game in totality. The game is not about scoring goals alone, but also about attacking and defending among other things," he said. Chhetri said nobody can play the Barcelona style of football, but BFC adopts ball possession tactics. "Nobody can play the Barcelona style of football because they are too confident and cocky if I can use the word, but we have a Barcelona flavour of possessing ball for obvious reasons - the coach is from Spain. I, however, wish we played like Barcelona," he said. Chhetri said playing the AFC quarterfinals at Bengaluru before empty stands was sad, but the team gave their best shot by giving back to the fans with a win against the rivals. "Playing before the empty stand was sad. Even if we nailed the goals, there was silence, which was sad. The coach has not seen an empty stadium in his life and yet we wanted to give back to our fans. "By the grace of the God we put in efforts to win the game and look where we are are, we are playing semifinals," he said.